Brands pour billions into Co-Op Advertising, MDF or other funding options every year, with minimal to no understanding of how that money performs. 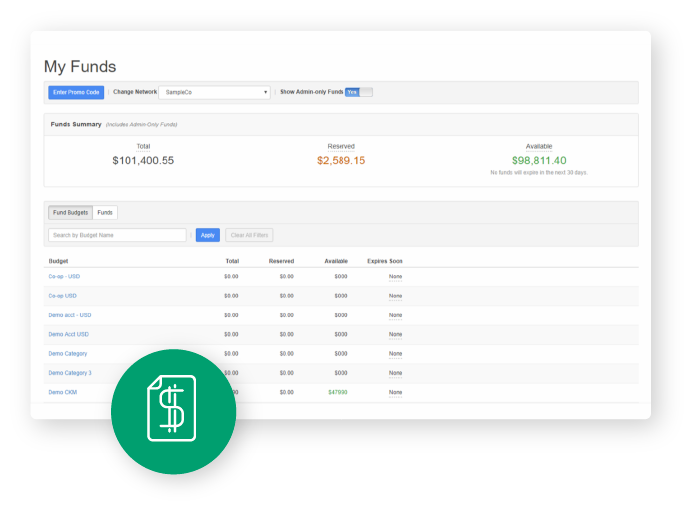 Intelligent Spend Management gives Brands a comprehensive solution that: tracks the funding options offered to their Partner networks, provides visibility on the results of their marketing spend, offers cost-saving solutions, and includes change management features to mitigate any risk or disruption to their networks. 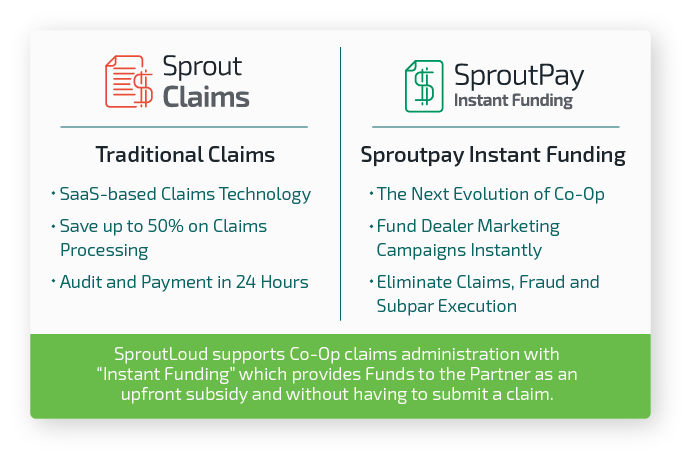 • SproutLoud replicates and simplifies the Brand’s existing Co-Op Claims and Reimbursement system within the platform, saving Brands up to 50% on claims processing costs. • Partners simply select tactics or marketing programs that offer Co-Op, MDF or other funds, then they use brand-compliant customization options available with Studio. • With SproutLoud’s easy-to-navigate analytics dashboards, Brands can determine ROI on local marketing campaigns and measure Partner engagement on the platform. 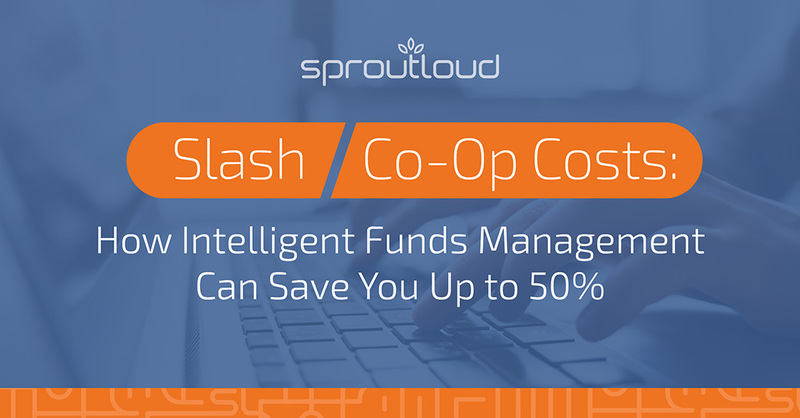 • SproutPay allows Brands to attach a percentage or preset amount of Co-Op, MDF or other funds to specific tactics or marketing programs. 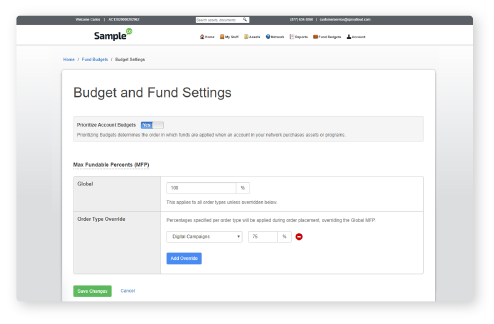 • When Partners select those tactics or programs, Brand funds are applied immediately at checkout. • Partners only pay their portion of local marketing costs. • This eliminates the typical upfront expenses that require Partners to submit claims and request reimbursement. • Then, Partners continue using SproutLoud’s platform to select tactics and programs with Partner Portal, customize assets with Studio, flawlessly execute local marketing with our integrated ecosystem of world-class Marketing Service Integrations, and easily access performance metrics with SproutLoud Analytics. • When every aspect of local marketing, from start to finish, occurs within the SproutLoud platform, Partners can get Brand messages in local markets faster. 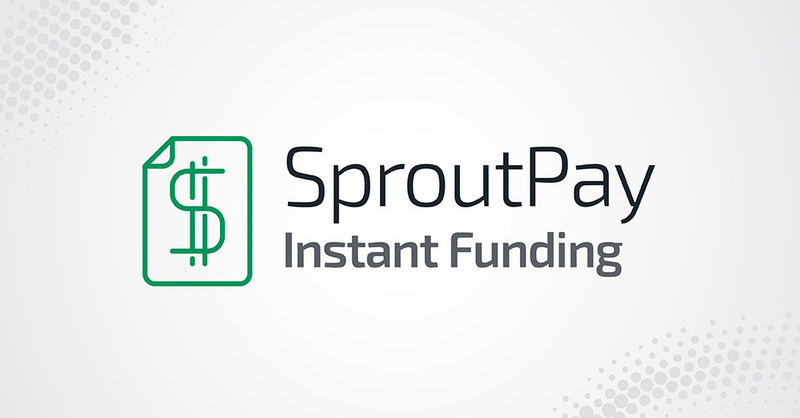 • Brands may select a preferred group, region, tier or class of Partners to begin implementing SproutPay Instant Funding. It could be used as an incentive or reward for high-performing Partners. • Within SproutLoud’s platform, only those Partners designated by the Brand would have access to SproutPay. • The rest of the Brand’s network would seamlessly continue claims processing with SproutClaims. • As quickly or gradually as the Brand prefers, SproutLoud can migrate more Partners to SproutPay, based on criteria pre-determined by the Brand.